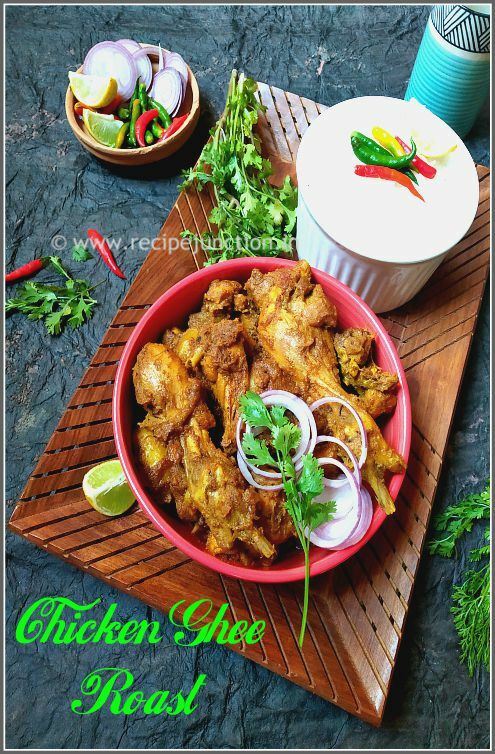 Chicken Ghee Roast is an exotic Chicken preperation, known to be originated in Bangladesh. I learnt this from a Bangladeshi friend of mine who was my neighbour while living in USA. 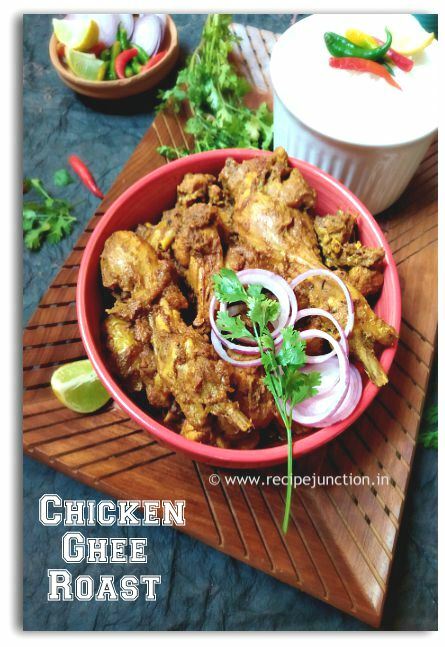 From then, I have cooked this few times on special occassions off course, but never happened to share this recipe here on the blog. So, on the occassion of Bengali New Year, which is just 1 day away, I prepared this curry last weekend to share it here. Do not get nervous seeing the long list of ingredients, it's all worth at the end, as the taste of this ghee roast is just out of the world. For this recipe, usually leg pieces are used, but you can use whole chicken but cut into big pieces. Marination is very important for this recipe as it tenders the chicken and lessen the cooking time, too. This is a thick gravy dish, gravy should nicely coat the chicken pieces. Red chilli/Black pepper powder : 1/2 tsp. Poppy seed(posto/khas khas) : 1 tsp. Kewra water : 1/2 tsp. Preperation : (1) marinate the chicken pieces with ingredients listed under "For marination" for at least 4 hours or more. (2)Slice 3 onions, make a smooth onion paste with half of the onion and make beresta with other half of the onion. How to make beresta : Take 1 tblsp. of ghee/oil in a pan and in medium heat saute till onions turn slightly brown. Remove and cool. Make a fine paste of beresta, too. (3) Make a fine paste of cashew nuts, raisins and poppy seed. (4) Roast the spices listed under " Ingredients for spice powder" on a tawa till aroma comes out, cool and make a fine powder. 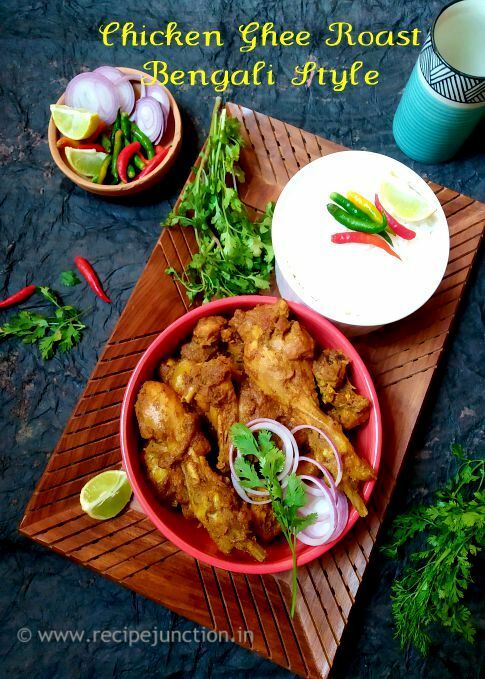 Cooking : Heat ghee in a pan, fry the chicken pieces on both sides till golden brown. Remove and keep aside. In the same pan, add bay leaves, cardamom, cinnamon and cloves and pour the onion paste. Saute for some time, then add ginger-garlic paste and saute some more till raw smell go away. In there, add left over yogurt marination, cashew nut paste, beresta paste and roasted spice powder. In low heat, cook the spice paste very well adding sugar and salt to taste for 10-12 minutes. When oil separates from the spice paste, add fried chicken pieces. You can add little warm water or milk if you think gravy has thickend. Milk works better for a thick, creamy gravy. Lastly add slitted green chillies and kewra water on top and close the lid. Cook till chickens are cooked through and you have desired consistency of gravy. 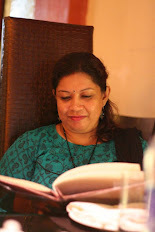 Enjoy with anything of your choice - naan, paratha, pulao or biriyani.